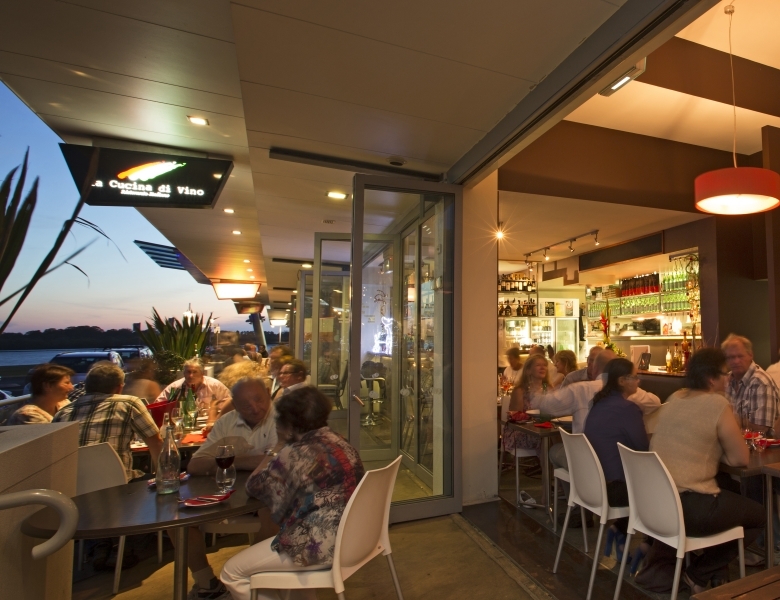 Overlooking the boat harbour and views of the Richmond River, this bustling Italian eatery is a favourite with Ballina locals, who go there for the authentic pizza, pasta, and the ever-popular veal and chicken parmas. La Cucina di Vino is located at the Ramada Hotel and Suites in Ballina. The cuisine specialises in modern and traditional Italian. With a great atmosphere and picturesque location next to the Richmond River, you are in for a pleasant lunch or dinner with great atmosphere and faultless service.